One of the earliest pioneers of the reawakening of Odinism in an overt manifestation in the 20th century CE., was an Australian solicitor; Alexander Rudd Mills (1885-1964 ce.) also known as Tasman Forth. Mills` enquiring mind led him in time to become reconnected with our natural religion and he founded an Odinist group, The First Anglecyn Church of Odin. Precisely when he founded this organisation is unknown, some claim it was in 1929 ce. while others place its formation sometime in the 1930`s ce. The exact date is not really of importance, what is known though is that in the 1930`s he published a series of books concerning Odinism and the Church of Odin. For a while it seemed this pre WWII resurgence of our natural faith would flourish in Australia, however with the onset of the Second World War, his group was deemed a potential threat to the state and outlawed. Mills himself was imprisoned for his beliefs and Odinists in Australia suffered varying degrees of state oppression. With the outlawing of the Anglecyn Church of Odin and the oppression of Odinism, the development of Odinism in Australia was severely hindered and forced underground until decades later. Today his books remain hard to obtain and it must be said that most of them would appear rather stilted to the modern Odinist. However, one must realise the times and circumstances in which they were written, it was after all a very early resurgence and Mills did not have the resources and support we have today. Probably the most effective and relevant of his works is a booklet entitled The Call of Our Ancient Nordic Religion. Despite its frequent classical references and biblical comparisons, it clearly shows the work of a man whose spiritual insight was highly developed. Beyond the scholastic references, the joy, nobility and beauty of Odinism clearly shines, so while we may not agree with all of it, it is indeed a very worthwhile booklet for all Odinists today. Those at all levels of understanding and experience of Odinism will find this booklet interesting and helpful, whether they are newly awakened to their natural religion or already seriously committed. Above all it stimulates thought, it is not a “history book“ but a book of experience and spiritual realisation. 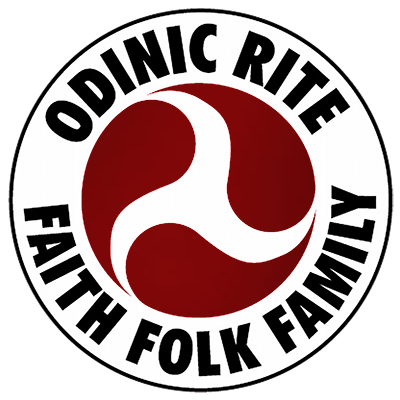 The Odinic Rite is very pleased to be able to offer this rare booklet to members and supporters. To receive your copy/copies please visit our store. * The Court of Gothar wish to thank Else Christensen of the Odinist Fellowship for making this booklet available to us.